Word has been received of the untimely passing of Sean McGirl, son of retired DL Capt. Patrick ‘Pat’ McGirl and former DL F/A Ruth McGirl. Timothy ‘Sean’ was just 43 years of age at the time of his passing. Sean’s death was due to coronary artery disease. Visitation and services will be held Wednesday morning, September 12th, in New Orleans LA. Timothy "Sean" McGirl passed away on Friday, September 7, 2012, due to coronary artery disease. A native of New Orleans and a resident of Metairie, LA. Son of Ruth W. McGirl of Metairie, LA and Patrick McGirl of Las Vegas, NV. 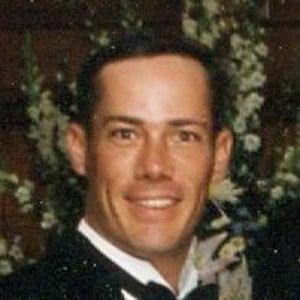 Brother of Tara M. Pike and Scott P. McGirl and the late Christopher Shannon McGirl. Brother in Law of Alvin G. Pike, IV. Also survived by nieces; Alexis and Cameron Pike, stepmother; Patricia McGirl, step brother; Sonny Tipton and step sister; Patsy McGirl. An athlete all his life, he went on to Junior Olympics in diving and 1st place State High School Champion. A member of Green Acres Country Club, he also set records in Diving and Swimming. After graduating from Holy Cross in 1987, he attended LSU majoring in Psychology. His love of people encouraged him to take up bartending at various places like Bennigan's, Outback, and Hoolihan's. He left the New Orleans area to work in Las Vegas for Wolfgang Puck for a couple of years. Returning to the New Orleans area he then worked at House of Blues and Commanders. He never met a stranger and was loved by all due to his optimism and ready wit.